The folks at Chin Music Press were kind enough to send me a review copy of their beautiful new book Where We Know: New Orleans As Home. My love of New Orleans has unexpectedly seeped into this blog in past posts (Loujon Press books, specifically) and I'm always looking for an excuse to drift my mind back there. Many thanks to Chin Music for a stunning new window onto this incredible city. What I'd like to focus on in this post is the wonderful design of the book. Chin Music has been the subject of previous entries--they've got one of the best understandings of how to make a paperback not feel like the "cheap" version of a better book. 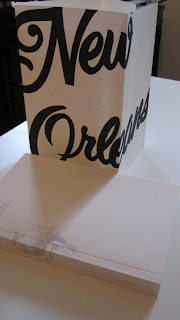 It's interesting in this case, as Where We Know is the second volume of a projected New Orleans trilogy, the first volume of which is an equally well-designed hardcover. You rarely see publishers change format/design in a series--this could be for any number of reasons (new designer, costs, who knows?) 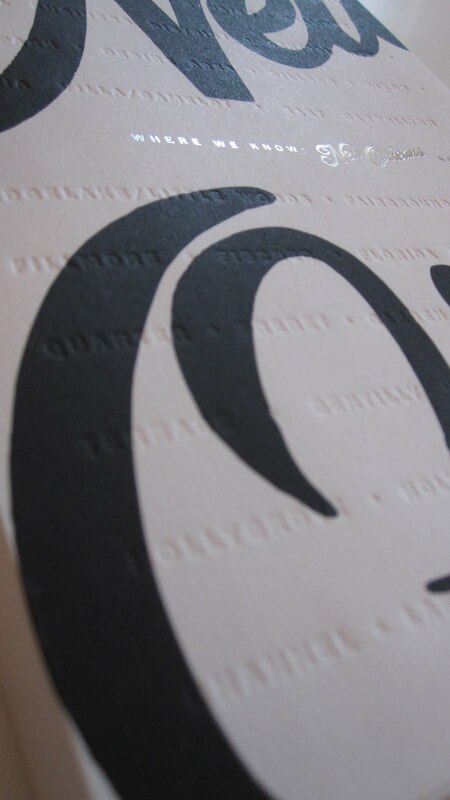 --but when the book is this well done it doesn't matter at all. In fact, I'm even more excited for the third volume. Will the format change again? 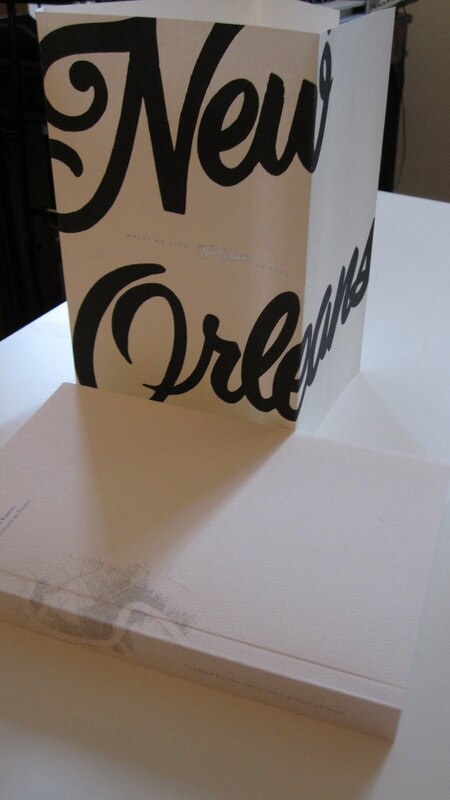 The book features about twenty true stories about how people interact with New Orleans as a home. The collection is a perfect balance of current and historical testimonials of the city: with pieces dating back to the mid-19th century, Where We Know puts today's post-Katrina sentiment into a surprisingly overlooked context. It's difficult to explain why I think Chin Music's New Orleans books work so well. It's impossible to deal with this subject matter without tapping into the tragic, ethereal quality of the city. These stories hint at a place that won't be around forever, but Chin Music's created books that have an unquestionable permanence on your shelves due to their exquisite craftsmanship. 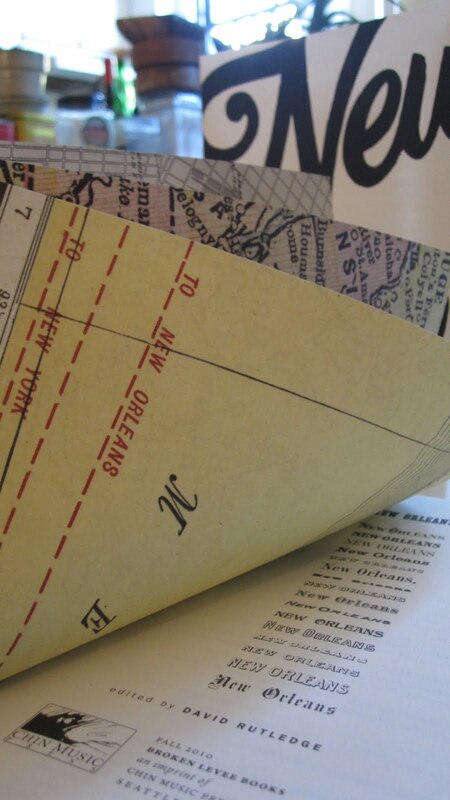 It's a curious balance of subject and format, one that gives a feeling of reassurance for both the endurance of New Orleans and of publishing as an art form.